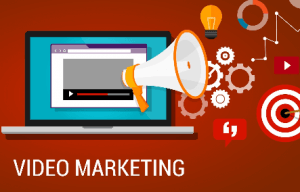 Using video to market your products and services is a smart technique, considering video content often ranks highly in Google. Often pages float to the top of the SERPs simply because they’re hosted on YouTube.com – the same as pages on Wikipedia often rise to the top. Here are some tips and tricks you can use to take advantage of YouTube’s tendency to rank highly in the SERPs. 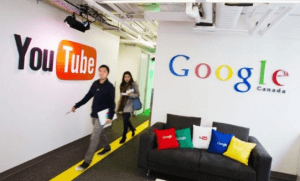 First, let’s set aside the notion that Google loves to rank YouTube videos highly. We’ll come back to this later, but let’s not forget that YouTube itself has a fair amount of users. Here’s some interesting statistics on YouTube. YouTube has over a billion active users, over a third of the people using the internet. Every day, people watch hundreds of millions of hours of YouTube videos. The amount of time spent on YouTube grew by 50% for the last 3 years straight. The number of daily watchers increased 40% since 2014. YouTube has many viewers who may watch your videos, even without the added benefit of appearing at the top of Google SERPs. That is certainly an added benefit for the video marketer. However, as this is a SEO focused site, I’m certain many of you would like to take advantage of Google’s high rankings for YouTube videos. Following are some tips and tricks you can follow to rank better in Google by using videos. Google owns YouTube, and loves nothing more than to feature its own sites at the top of the SERPs. The idea is that you will create a video that is somewhat of a product review. It can talk about the product and your website, where they can purchase the product. While your goal should be to make a compelling video, the tags, title and description are where you’ll be ranking within Google and YouTube itself. Ultimately, you’re trying to sell the product. This would require your video to be compelling – even if it isn’t directly influencing your ranking. So then, do a good job of it – and if you don’t think you’re up to that task, consider taking advantage of Fiverr.com. On Fiverr you can find many people willing to make videos and talk about products, starting at only $5. Perhaps you’ll have to write the script – but nothing should prevent you from creating a great video on a low budget, if you put your mind to it. As you upload your video, you’ll be given the opportunity to add a title. It is important to put your most important keyword within the first few words of the title. Be descriptive and use as many keywords as possible – because a keyword in the title of the page has extra weight. However, do not use repetition, using a keyword once is the best idea. You should fit in related keywords and other terms someone may search for in the title. Google loves a long, well written description on a YouTube video. You’ll find that Google is far more forgiving of keyword stuffing in the text of a video description than they would on a regular article placed on a blog. The more you write, including the most relevant keywords possible, the more traffic and rankings you will qualify for. Don’t forget that the words on the page (including the title and the description), are pretty much what will see you ranking in Google. While uploading a decent video is a good idea, it is crucial that the description have many keywords – this is what is going to drive your rankings. The description is more important than the video itself, for purposes of ranking. Hopefully, you’ve done some keyword research using Google’s Keyword Planner before you’ve selected a topic to create a video on. Within the Keyword Planner, you will find plenty of related terms with large amounts of search traffic reported. Take those related terms and use them for your keywords. Also, sprinkle those terms generously in your video description, and fit a few in your title if there is room. Using these techniques will get you ranked highly on low to medium competition terms, almost by default – especially when there aren’t already videos that are optimized for the keywords you’re chasing after. What do you do when there is high competition, however? If you find that YouTube IS ranking highly for your particular keyword, but unfortunately it isn’t YOUR video that is ranking, you’ll find that the lower quality push-button link practices, which never seem to rank your own blogs very well for very long, actually still work pretty well on YouTube videos. Consider experimenting with some low quality links to prop your videos up. If you don’t know how to generate those, again – Fiverr is a great place to buy quantities of links made from GSA SER or Xrumer. Experiment with a few $5 link packages and see how it affects your rankings. There’s another thing to consider. 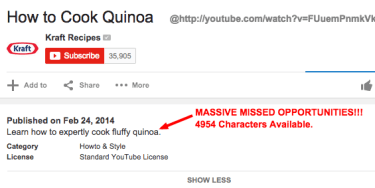 Getting traffic on YouTube isn’t quite like getting traffic on your own site. You’ll have to somehow convert that traffic from Google to your website or affiliate deal. Place a link to your site first thing in your description. The first few lines of your description will show to the YouTube video watcher, even if they don’t expand the content of your description. You’ll find this tactic works best if you have a product for sale that someone wants to buy, and you’re giving them detailed information how to buy it. It will work less well if your content is, for instance, Adsense type content that delivers information and shows an ad. While that, of course, is a viable monetization technique for some on YouTube, you’ll find it more profitable monetizing with CPA type deals, collecting emails, selling products or offering services for sale.